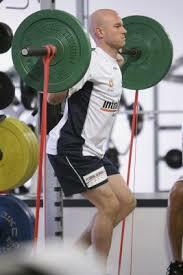 Lifting and training or an enormous part of your ability to improve at sport but can you do it in-season? It is most definitely important in-season and typically the goal is to maintain your strength and speed and not always to optimize it or improve it. This Study Spotlight takes a look at how working on high intensity squats utilized in season can help with strength and speed improvements. The researchers in this study looked at the possibility of improving squat strength and short sprint speed by focusing on heavy squatting during competitive season. They did this by testing 1 rep max prior to the season and then using a 6 week, 2x per week, workout program that used weights in the 85-90% of 1RM squat maxes. Maxes and sprint times were retested post intervention. Researchers found both an increase in absolute strength and relative strength after implementation of the program. They also found small increases in short sprint speed after the program was completed. It isn't uncommon to think that the stronger you are in your lower body and specifically squats will lead to a faster short spring performance. It is still becoming well known that you can still make these adaptations while in your competitive sport season (in this case soccer) and not have it affect your performance. Especially at two times a week you can still get the benefits of lifting heavy without destroying your body and its ability to perform and increase that performance during the season. Bottom line: keep working out in-season and make the most of it as it can still benefit you and your performance.